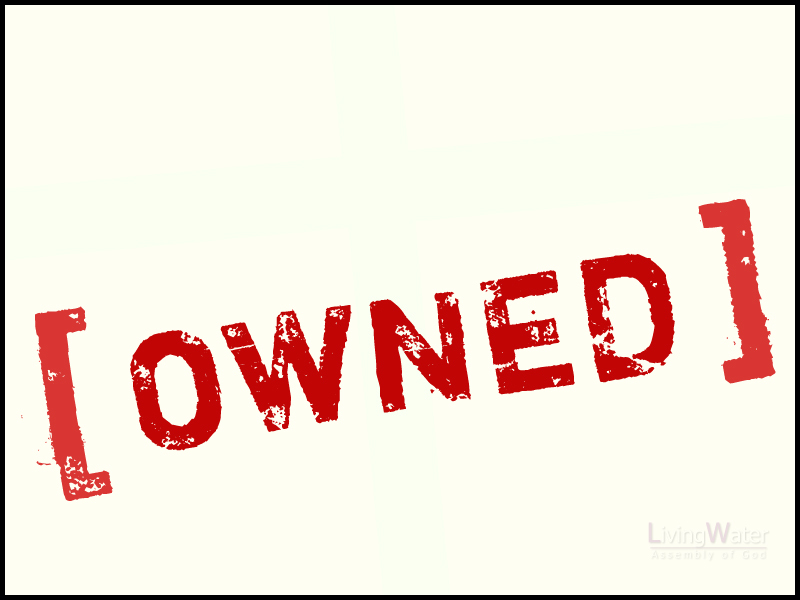 In today’s vocabulary, when you get “owned” it means someone has put a move on you, scored or won a sound victory over you in some level of competition (whether in athletics or business). But Paul believed it was a good thing to be “owned” by Christ. 1 Corinthians 6:19-20, Or do you not know that your body is the temple of the Holy Spirit who is in you, whom you have from God, and you are not your own? 20 For you were bought at a price; therefore glorify God in your body and in your spirit, which are God’s. Being “owned” by Christ—dominated in every area of our lives—Christ made me His. Are you (we) willing to do what God asks of us? Even if we think we could a better job ourselves? “What? Pastor, how is it possible for us to do a better job than God?” Yet, we question Him often. Brooks knew that individual talent would take the team only so far. A willingness to fit into his style of selfless play would be far more important than talent. Clearly, team success, not individual glory, was the priority. The Biblical call to service has a similar emphasis. That is why God choose you and me. We fit in His plan for His body (the team). But the manifestation of the Spirit is given to each one for the profit of all: 8 for to one is given the word of wisdom through the Spirit, to another the word of knowledge through the same Spirit, 9 to another faith by the same Spirit, to another gifts of healings by the same Spirit, 10 to another the working of miracles, to another prophecy, to another discerning of spirits, to another different kinds of tongues, to another the interpretation of tongues. 11 But one and the same Spirit works all these things, distributing to each one individually as He wills. 12 For as the body is one and has many members, but all the members of that one body, being many, are one body, so also is Christ. 13 For by one Spirit we were all baptized into one body—whether Jews or Greeks, whether slaves or free—and have all been made to drink into one Spirit. 14 For in fact the body is not one member but many. 15 If the foot should say, “Because I am not a hand, I am not of the body,” is it therefore not of the body? 16 And if the ear should say, “Because I am not an eye, I am not of the body,” is it therefore not of the body? 17 If the whole body were an eye, where would be the hearing? If the whole were hearing, where would be the smelling? 18 But now God has set the members, each one of them, in the body just as He pleased. In God’s purposes, each believer does his or her part, but the results are team-oriented. The hard part could be finding where you belong in the body. This is why it is important to be “owned” by God, because in one place you may be the ear, and in another place you may be a ‘part’ of the ear. God may put you in a place where you must be the whole right side. What is most important is that everyone does their share of the lifting. If we only lift with our back, and not use the help of our legs, we will have a sore back. If you (we) are willing God will use us in the right places. After explaining the wide differences in the spiritual gifts of believers, Paul says, in verse 7, But the manifestation of the Spirit is given to each one for the profit of all. When we use the skills God gives us, His purposes are accomplished, and He gets the glory. In God’s service, it’s not about being the best, the most talented, or the most gifted. It’s about being the right people—the ones God “set…in the body” (v.18)—joining together to serve the same team. There are no unimportant people in the body of Christ. He builds His church with different stones. He makes each one of us secure. All shapes and sizes fit in place to make His church endure—each one “owned” by God. Philippians 3:12, (NCV) I do not mean that I am already as God wants me to be. I have not yet reached that goal, but I continue trying to reach it and to make it mine. Christ wants me to do that, which is the reason He made me His. From the beginning Christ set out to “own” me—He did and He does.